This upcoming holiday season is especially exciting for me. For the first time I have a Love Inspired Suspense Christmas book releasing December 1st! Cold Case Christmas kicks off a new Storm Chaser series which I have been giddy about writing. I love weather disaster plots. 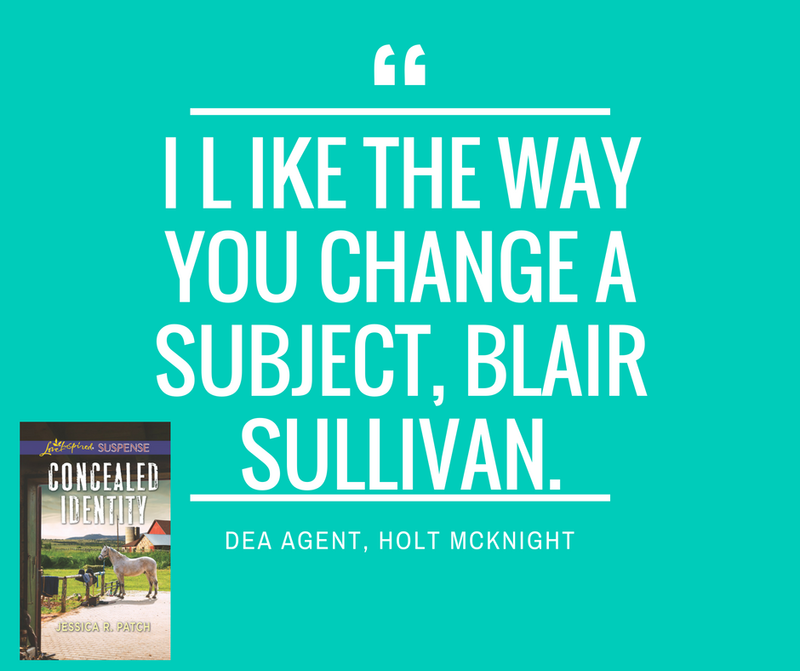 Mix that in with murder and romance…oh yeah! Here is a little about Cold Case Christmas which is available for preorder HERE. Home for Christmas after her long-missing mother’s body is found, nothing will keep Nora Livingstone from uncovering the truth about the cold case. Especially not Deputy Sheriff Rush Buchanan, whom she once loved and left. Even when threats become attempts on her life, Rush can’t dissuade her—but he will protect her. Because someone is determined to bury the truth…or bury Nora. Doesn’t that sound mysterious and fun? Well…it is. 🙂 And I’m giving away 5 signed paperback copies to U.S. citizens only. 18+ Just enter below! But that’s not all of the fun news! Not only do I have a romantic suspense Christmas book coming out, but I also have a fun contemporary romance novella releasing November 1st. A Honey of a Christmas is the 2nd novella in the Honeyhaven series. It can be read as a standalone, but you can find book 1, Under the Honey Moon, in the Once Upon a Laugh collection with romances by 7 other fantastic authors! It’s only .99 cents for the entire collection! Purchase it HERE. Tuck Renner has been tasked (against his will) with building the Santa’s Village which means taking orders from Miss Bossy Pants herself—Agnes Piercy. But she’s off to a seriously rocky start. Feeling sorry for her, and a lot sorry for himself having to hear about it day in and out, he vows to make this the greatest event ever. Unfortunately, things don’t go as planned. But, they may go exactly like they were meant to. Well, there you have it friends! I hope you enter and feel free to share this post with friends. And if you are really jonesing for great Christmas romances, try my good friend Jill Kemerer’s newest: Wyoming Christmas Quadruplets (Wyoming Cowboys series) You can purchase it HERE. Will she find love in this Wyoming Cowboys novel? Six weeks on a ranch caring for quadruplets—aspiring nurse Ainsley Draper’s prepared for a busy Christmas. When the children’s handsome uncle opens the door, her task gets extra complicated. Marshall Graham is upholding his promise to look after his twin sister, the babies’ mom. But as family loyalty clashes with new love, will the perfect present include a future with Ainsley? How adorable are those babies, right? Have a fabulous week, friends! Posted in books, Christmas, fiction, giveawaysTagged A Honey of a Christmas, Christmas, Christmas giveaway, free book, giveaway, holiday, jessica r patch, Love Inspired Suspense, Pp91 Comments on Christmas Comes Early! Two Giveaways For You! 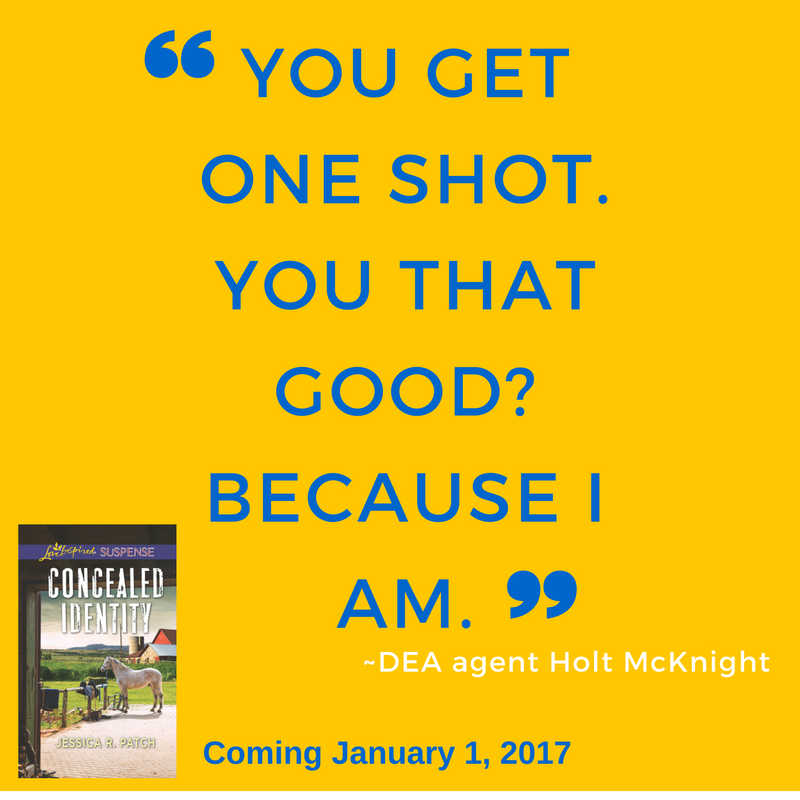 And I Quote… Plus Win a Copy of Concealed Identity! Ya’ll another book baby has been born. 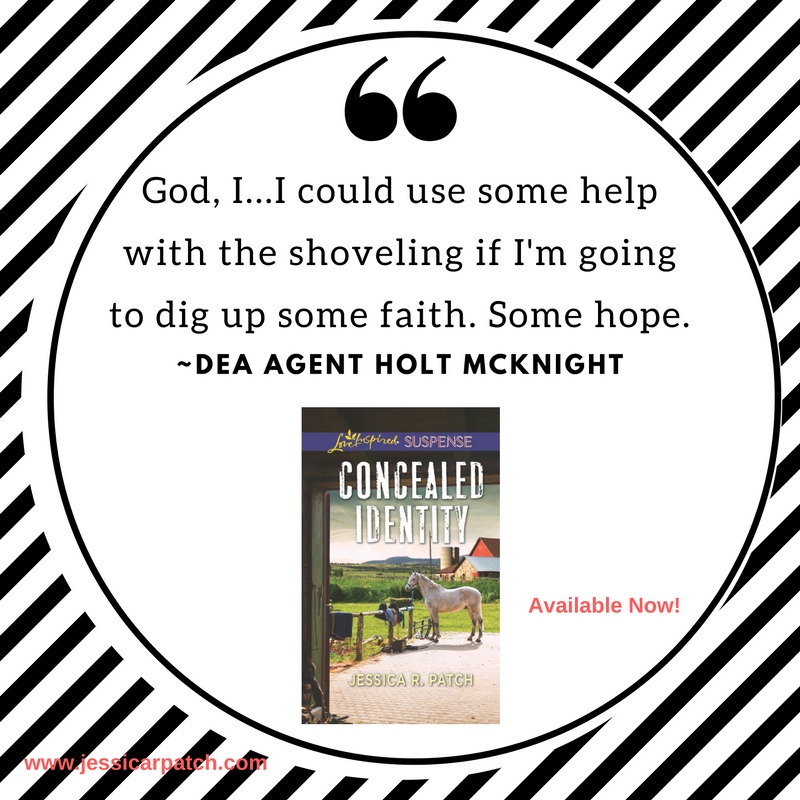 Concealed Identity released in Kindle on January 1 and in paperback on January 3. It’s surreal. Like for real. Here are just a few quotes from the book. Feel free to check out my Pinterest board to see who I cast as the characters and get a picture of the fictional small town of Hope, Tennessee. Holt McKnight is definitely one of my favorite characters! I hope you’ll think so too! Here are some of my favorite quotes from the book! 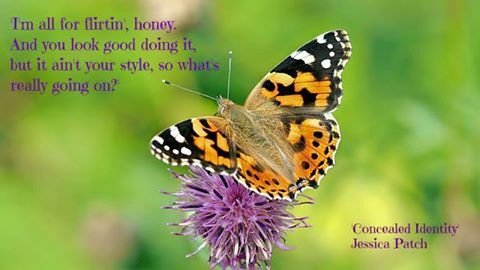 And here is a meme one of my readers created on her own! Stay tuned…Friday I’m teaming up with my author pal, Jodie Bailey and we’re giving away some super sweet prizes! I’d love for you to swing by and enter for a chance to win. Let’s say there are gift cards, fuzzy slippers, books, Burts Bees, and much more to drool over! Do you have a favorite quote or a line from a song? I’d love for you to share it. 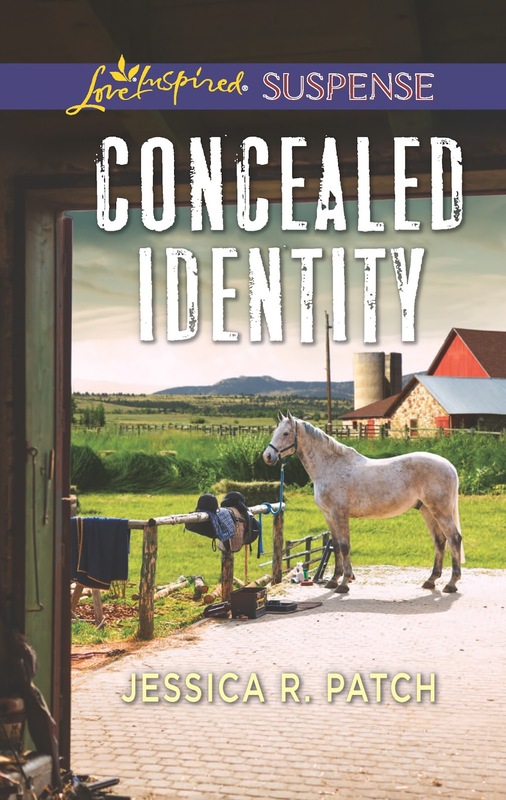 Comment below (and add your email address) and I’ll draw a random winner for one signed paperback copy of Concealed Identity! U.S. Only on Friday, January 6th at NOON CST. 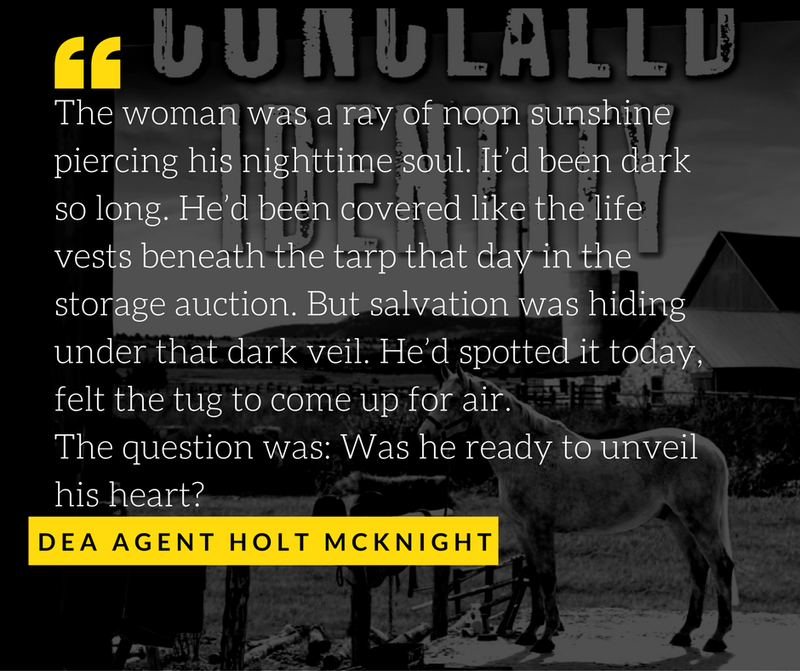 Posted in UncategorizedTagged and I quote, book giveaway, concealed identity, dea, free book, giveaway, quotes, romance, romantic suspense, small towns15 Comments on And I Quote… Plus Win a Copy of Concealed Identity!